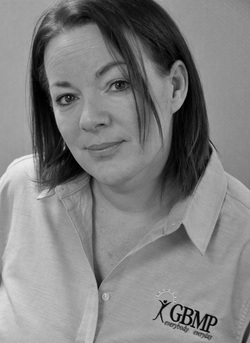 Tracy Reardon-Scott is GBMP's Business Manager. Tracy Reardon comes to GBMP with many years of manufacturing experience both on the plant floor and in front office and HR management. She is working towards her B.S. in Business Management. At GBMP, Tracy is responsible for making sure that GBMP runs smoothly at all times - working closely with Lela, Jamie, Karen, Katrina and Steve - and to ensure GBMP clients, customers and members receive the best possible service we can provide.